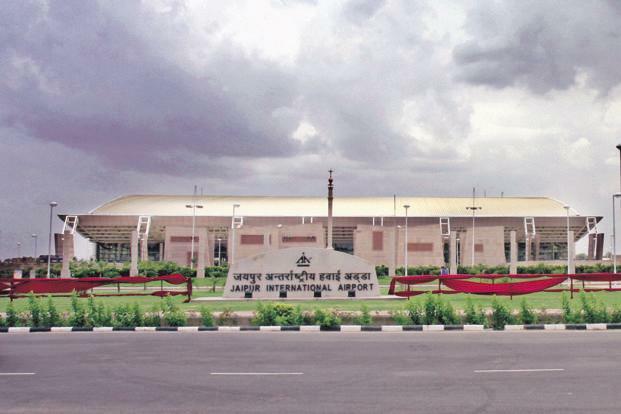 Located 13 km from Jaipur in the south suburb of Sanganer, the Jaipur International Airport serves the capital city of Rajasthan. Bus: 11 km from the Jaipur Bus Stand. Rail: 13 km from the Jaipur Railway Station. The 'Pink City of India' was founded by the ruler of Amer and forms a part of the Golden Triangle tourist circuit. A popular tourist destination, the capital city of Rajasthan is a wonderful combination of ancient royal heritage and urban lifestyle. Jaipur is well-connected through air route to all major cities in India. Book cheap flights to and from Jaipur International Airport at lowest airfare.